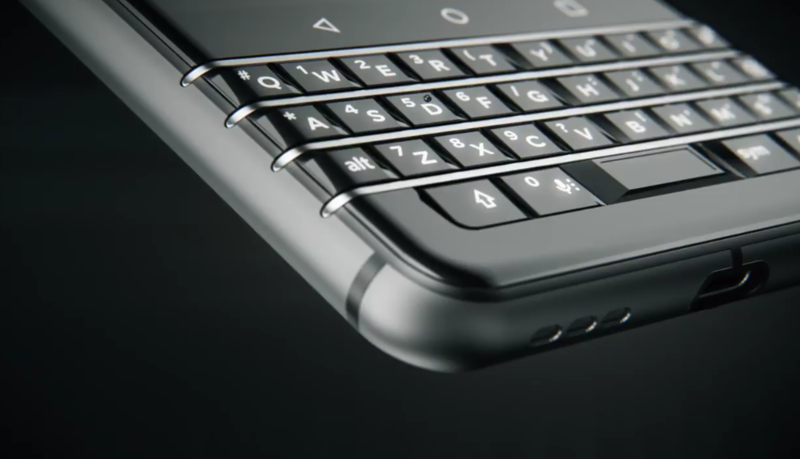 Unlike the DTEK50, this is obviously designed by TCL specifically for BlackBerry. The video doesn't give too much in the way of details, but the phone obviously runs Android, includes a USB Type-C port for charging, and has an embedded fingerprint reader on the space bar. This appears to be the unnamed BlackBerry device leaked last month. Unfortunately, we will have to wait until Mobile World Congress next month for all the details.